It's a small world. How small? 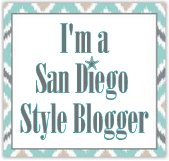 Well, a few months into blogging, I was reading the comments on someone else's blog post and I saw a name I recognized. 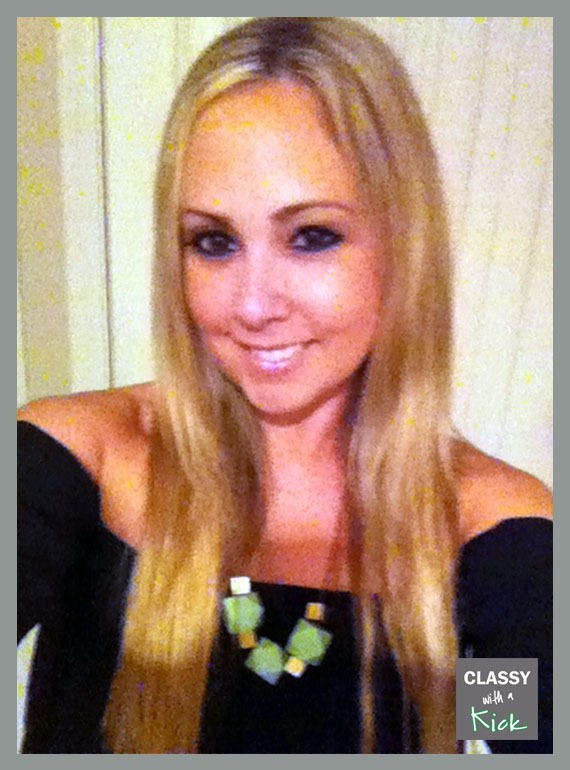 It was a girl named Holly who I had interviewed for a marketing position when I was hiring at my old company. Obviously, I clicked on over to her blog, GlamourMash, and instantly loved it. She has amazing style and has some really great features on interior design. Holly and I got in touch and realized that we had quite a bit in common...we both live in San Diego (duh), have fashion/style blogs and make jewelry. 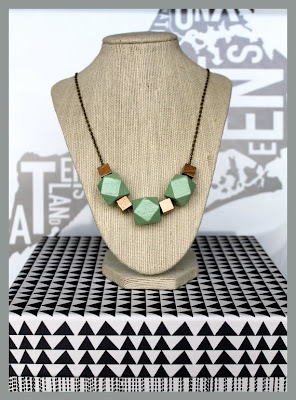 After browsing her Etsy store - GlamourMash, I completely fell in love with her painted wood bead necklaces (which were recently featured on Fab.com - yay Holly!). 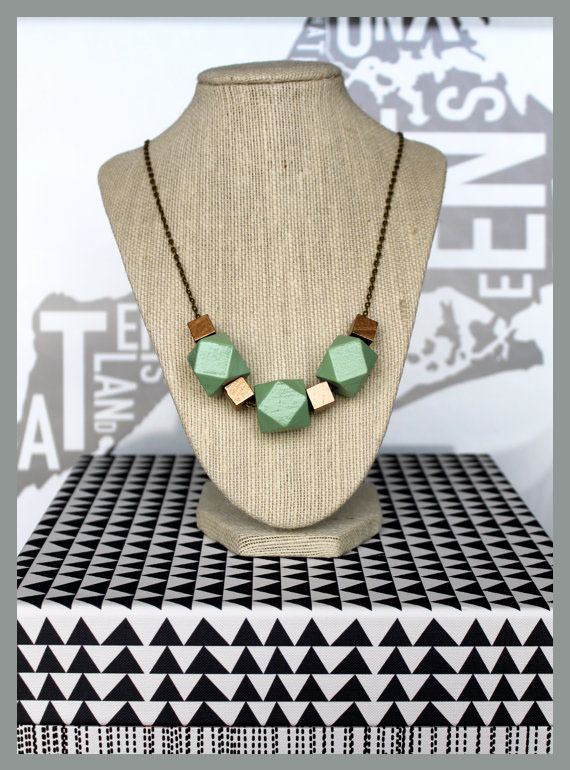 Lucky for me, Holly and I decided to do a necklace swap and I am now the proud of owner of this minty, metallic beauty - the Carly. How cute is it on?? And the packing is really fun too...I mean who doesn't love a gold lamé pouch?? Seriously, I want them all. 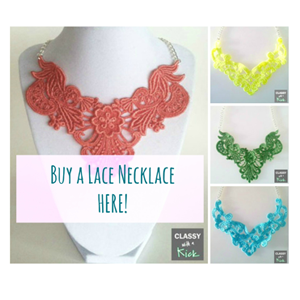 There are so many other colors and styles to choose from! Because Holly is as sweet as she is talented, she is offering all of you a 20% off code for her Etsy shop so can get one of these beauties for yourself! Just go here and use code ClassyGlam20 when you check out! 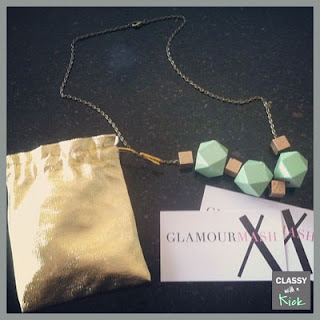 What do you think of the GlamourMash necklaces? If you buy something from Holly's shop, let me know so I can be jealous be excited for you!! 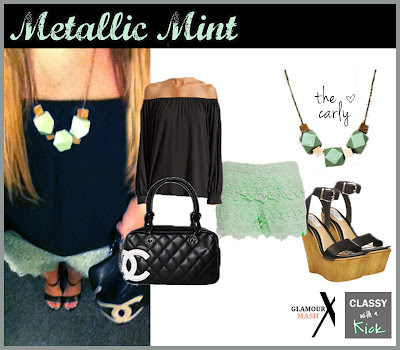 The necklace is really cute and pairs so well with those pretty mint lace shorts! great outfit you put together! i could see myself wearing it! 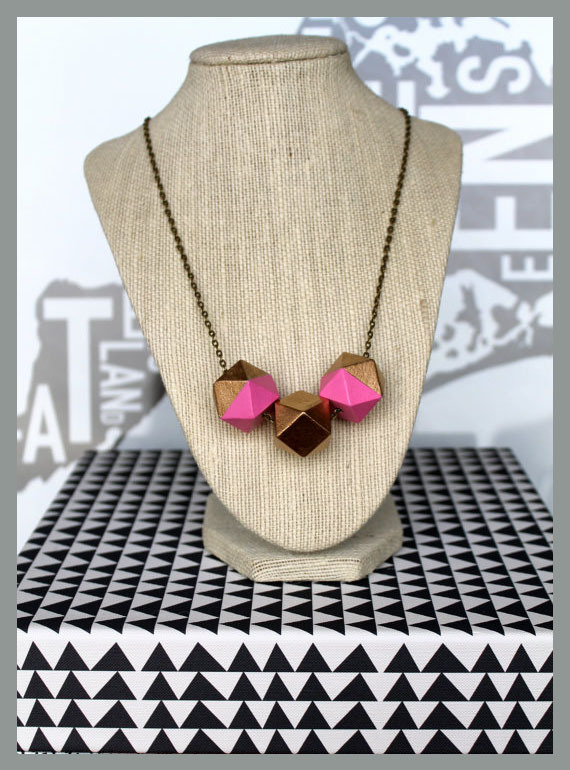 and those necklaces are so cute! cute! looks even cuter on you! 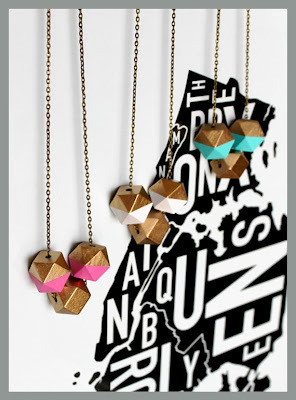 Such cute necklaces - love all the different colors & shapes! 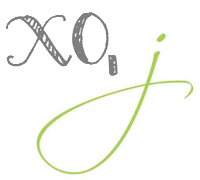 I love both of your blogs and I am a jewelry crafter myself! Love this trade girls! Great idea! 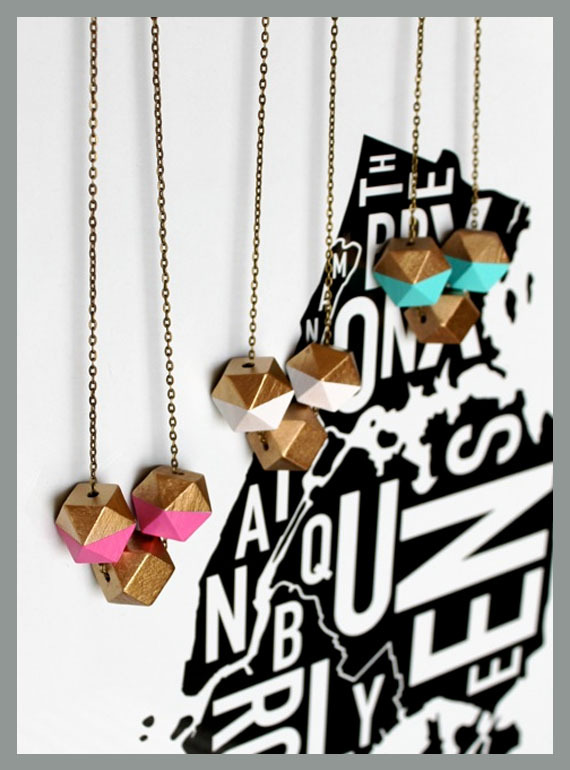 CUTE necklaces! And give it up for San Diego! I used to live there for many years and am heading back there this weekend! PUMPED. : ) Fun blog! 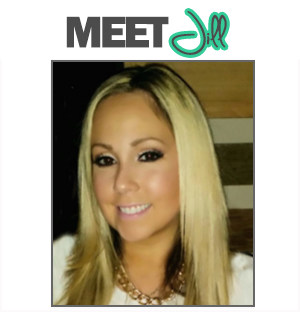 Loved your post, Jill! 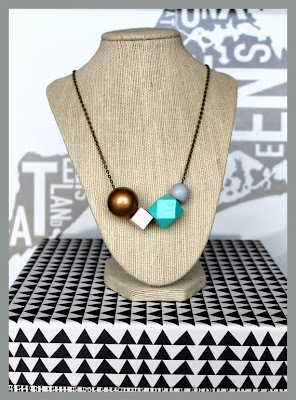 It was so fun doing the necklace swap! That necklace is so pretty. All of her necklaces are beautiful. Such a fun swap! Love Holly's blog and that necklace looks fab on you! Also, I'm pretty sure you have the best collection of shorts - love the lace! 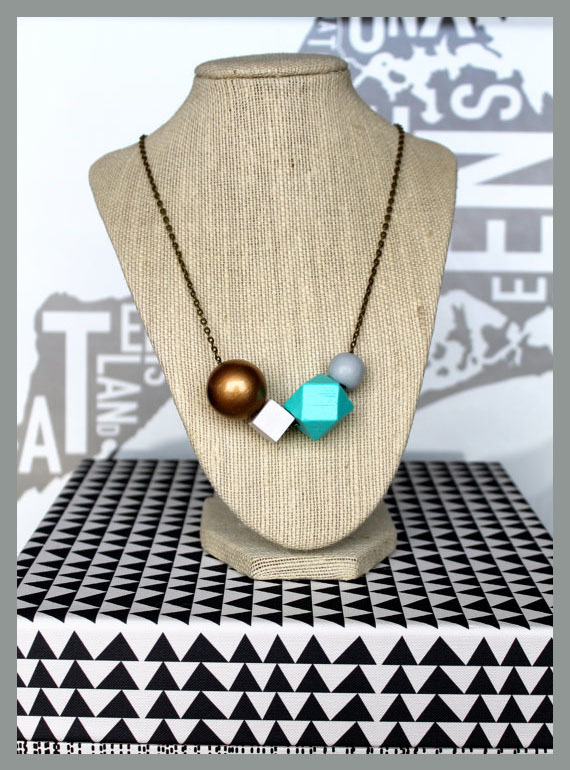 That necklace is cuuuute! Love the pink and gold one!